PHILADELPHIA — An 89-year-old Philadelphia man was ordered held without bail Wednesday on a German arrest warrant charging him with aiding and abetting the killing of 216,000 Jewish men, women and children while he was a guard at the Auschwitz death camp. The man, retired toolmaker Johann "Hans" Breyer, was taken into custody by U.S. authorities Tuesday night. Attorney Dennis Boyle argued in federal court Wednesday that his client is too frail to be detained. Breyer was in court in an olive green jumpsuit and carrying a cane. But prosecutors said the detention center he's being taken to is equipped to take care of him. 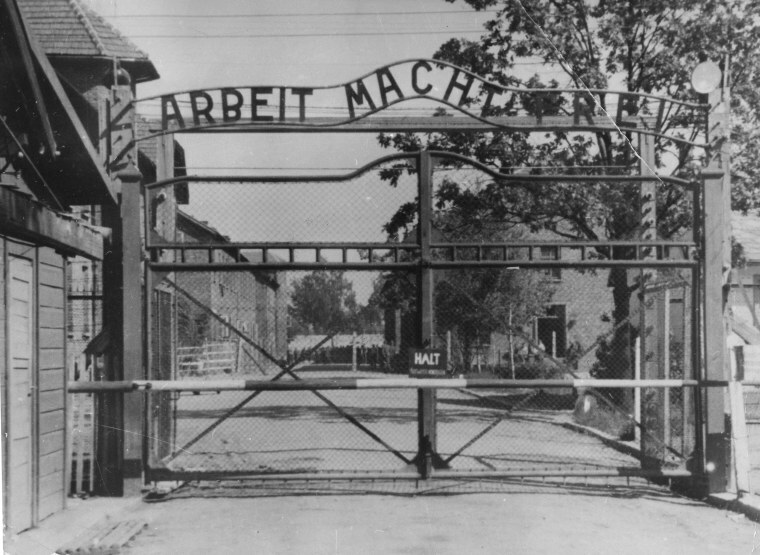 Breyer has admitted he was a guard at the Auschwitz-Birkenau death camp in occupied Poland during World War II, but has said he was stationed outside the facility and had nothing to do with the wholesale slaughter of around 1.5 million Jews and others behind the gates. The German investigation comes after years of failed U.S. efforts to have Breyer stripped of his American citizenship and deported. Breyer has been under investigation by prosecutors in the Bavarian town of Weiden, near where Breyer last lived in Germany. Their office had closed by the time news of his apprehension broke, and no one could be reached for comment. Efraim Zuroff, the head Nazi hunter at the Simon Wiesenthal Center in Jerusalem, said with Germany asking for Breyer's extradition, there was no reason that he should not be sent overseas for trial. "If a country asks for him and they have a basis for the request, the United States is anxious, of course, to be rid of all of the Nazi perpetrators who immigrated there, it's a case where hopefully there will be no obstacles," he said. "Germany deserves credit for doing this — for extending and expanding their efforts and, in a sense, making a final attempt to maximize the prosecution of Holocaust perpetrators." Thomas Will, deputy head of the federal German prosecutors' office responsible for looking into Nazi war crimes, which started the new probe of Breyer and found there was enough evidence to recommend Weiden investigate further, said he could not comment as the case was no longer his jurisdiction.